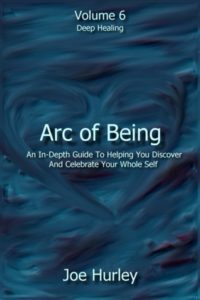 Arc of Being: Volume 6 – More Daily Lessons is an inspirational book of cutting-edge lessons and heartfelt sharing by author, visionary, and healing energy consultant Joe Hurley. It represents major teachings from his over 30 years of personal growth, multidimensional study, in-depth personal healing, and divine transformational experience. Volume 6 consists of over 40 detailed lessons of inspiration, support, and divine guidance. These lessons are uplifting, specific, and include many personal examples. A few lessons are simple and easy to read. A few lessons are intermediate. A few lessons are more complex and advanced. These lessons center around facing deeper levels of discomfort and experiencing deeper levels of healing with divine wisdom, love, and light. -To help you listen to your pain, and release it. 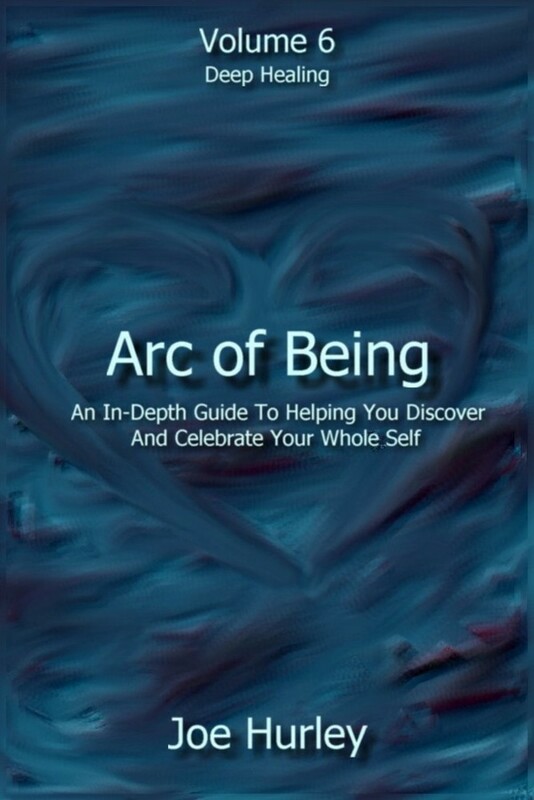 -To help you access your divine wisdom, compassion, and love. -To help you clear any distortions creating your hurt. -To help you face your discomfort and then open to grace and love when you are ready. -To help you move beyond the problem/solution lens. -To help you let go of control and flow into the space of pure unconditional love. -To help you say yes to moving beyond fear. -To help you say yes to opening up to living life again. -To help you heal any unpleasant memories so that you can live life fully again. -To help you see that love is all around you. -To help you open to love within you. -To help you see your underlying emotions and beliefs creating symptoms. -To help you use your wisdom and love to heal your symptoms. -To help you understand new levels of advanced healing techniques. -To help you understand the wisdom of becoming a divine facilitator within your multidimensional self and situation. -To help you with advanced questions to ask yourself and situation when healing. -To help you with advanced ideas to think about when healing. -To help you understand how advanced communication is a form of healing. -To help you open your heart to a new way of healing. -To help you have the courage to be in the dark, sense your spirit, open to the whole picture, and step into freedom. -To help you in creating your sanctuary. -To help you in redefining your reality. -To help you in letting go. -To help you open to true support from within yourself. -To help you in getting support in new ways. -To help you see what is really at rope’s end. -To help you understand about sensitive people. -To help you understand about leaving reality and coming back. -To help you open to your divine heart and be your beautiful light here in human form. -To help you understand the process of the divine unification of your chakras. -To help you understand the difference between knowing divine wisdom and acting on divine wisdom. -To help you understand the evolution of divine action. -A personal journey into darkness. -How I moved from fighting the old way to opening to the new way. -Working with the fear of awakening. -Honoring my I Am within the group. -Feeling like the angels abandoned me. -Moving through the core emptiness. -Moving beyond the responsibility hook. -Becoming light in times of need. -Moving beyond the need to know, to fix, to solve, or cure. -Searching outside myself, into the divine realms, and inside my core. -Becoming divine wisdom, love, and light. -Moving beyond illusion into the fullness of life’s dance.